Albert's family had horses when he was growing up, and he still enjoys riding in his free time...Has five siblings - four brothers and one sister - and enjoys spending time with them when he returns to Venezuela during the offseasons...Dancing is one of Albert's favorite hobbies...he enjoys salsa dancing the most. Went 0-3 with a 5.12 ERA and 34 strikeouts in 18 games with the Giants...Limited right-handers to a .211 average...Threw 1.0+ inning in 13 of 18 outings (2.89 ERA)...On the disabled list from April 6-July 8 with a right shoulder impingement...Earned first career save on Aug. 6 vs. D-backs...Had a 3.31 ERA at home. Was signed by San Francisco as a minor league free agent in the offseason and stepped into the swingman role vacated by Yusmeiro Petit in the offseason, serving as the team's primary long reliever and as the rotation's sixth man. In three stints with the Giants, he posted a 3-5 record with a 4.29 ERA (40er, 84.0ip) over 22 appearances (12 starts). Had his contract purchased from triple-A Sacramento on May 6 and made his Major League debut May 8 against Colorado. Went 1-4 with a 4.28 ERA (29er, 61.0ip) in his 12 starts with the Giants...allowed three earned runs or fewer in each of his outings. Made his first Major League start on June 1 in Atlanta and did not factor into the decision... tossed 5.0 innings, allowing three runs on three hits and two walks with four strikeouts. Earned his first career win as a starter on June 23 at Pittsburgh...pitched 5.0 innings, allowing three runs (two earned) on four hits and two walks while striking out a career-high six batters. Became the first Giants starting pitcher in franchise history to hold opponents to three runs or fewer in each of the first 12 starts of his career (Stats, LLC). Went 2-1 with a 4.30 ERA (11er, 23.0ip) in 10 relief appearances. Won the Texas League ERA title, posting a 2.98 figure (54er, 163.0ip) in 27 starts...also tied for the league lead in wins (11), tied for second in games started (27) and ranked second in the league in strikeouts (121) and innings pitched (163.0). His .234 opponents batting average against led the Texas League as did his 1.12 WHIP. In 15 starts before the All-Star break, Suarez posted a 3.56 ERA and a 1.29 WHIP, however following the break he fashioned a 2.34 ERA and 0.92 WHIP in 12 starts (77.0 innings). Topped 100 innings for just the second time as a professional after dealing with 2009 Tommy John surgery, knee problems and bouts with Lyme disease. The Angels awarded him with the Iron Angel Award, given to one position player and one pitcher at each affiliate who does the best at strength and conditioning. Opened the season on the disabled list...pitched to a 0.64 ERA (1er, 14.0ip) in three starts with Charlotte before being promoted to Montgomery for the remainder of the season. Limited to two starts during the season after suffering an oblique injury in April with Montgomery. Led Charlotte with 25 starts. Sidelined until late July after being hit by a line drive in spring training that led to doctors discovering he had Lyme disease...made only 8 apps (7 starts) on the year, totaling 29.1 IP...Joined the GCL Rays for a rehab assignment on July 27 and made 4 starts, compiling a 1.38 ERA (13-IP, 2-ER)...on Aug 20 moved to Class-A Charlotte where he made 4 apps (3 starts) to finish the season, going 1-1 with a 2.76 ERA (16.1-IP, 5-ER)...For the season, held opponents to a .138 (4-for-29) avg. with RISP...held left-handed batters to a .154 avg. (8-for-52)...Ranked by Baseball America as the Rays No. 17 prospect entering the 2012 season. Returned in July after missing a year due toTommy John surgery on his right elbow ... was assigned to Class-A Bowling Green onJuly 7 after making 3 rehab starts with theRookie-level GCL Rays...pitched in 12 games(11 starts) for the Hot Rods. ... Increased his workload gradually after joiningBowling Green...had a 7.36 ERA (14.2-IP,12-ER) through his first 6 games ... posted a2.00 ERA (27-IP, 15-H, 6-ER) over his last 6starts, beginning Aug 8 when he crossed the4-inning mark for the first time. ... Was added to the Rays 40-man roster onNov 19. Injured his right elbow June 25 while pitching for Hudson Valley...underwent season-ending Tommy John surgery July 6...the surgery was performed by Dr. Koco Eaton. Was rated as the ninth-best prospect in the Appalachian League by Baseball America and was also rated the number 12 prospect in the Rays system following the season. October 17, 2018 RHP Albert Suarez assigned to Leones del Caracas. October 11, 2018 RHP Albert Suarez elected free agency. September 3, 2018 Reno Aces activated RHP Albert Suarez from the temporarily inactive list. August 31, 2018 Reno Aces placed RHP Albert Suarez on the temporarily inactive list. June 5, 2018 Reno Aces activated RHP Albert Suarez from the 7-day disabled list. May 15, 2018 Reno Aces placed RHP Albert Suarez on the 7-day disabled list. March 27, 2018 Arizona Diamondbacks sent RHP Albert Suarez outright to Reno Aces. 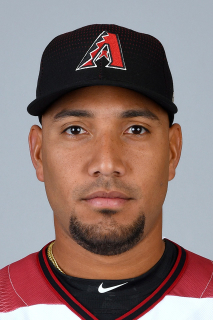 March 24, 2018 Arizona Diamondbacks designated RHP Albert Suarez for assignment. December 14, 2017 Arizona Diamondbacks claimed RHP Albert Suarez off waivers from Sacramento River Cats. December 10, 2017 San Francisco Giants signed free agent RHP Albert Suarez to a minor league contract. December 10, 2017 RHP Albert Suarez assigned to Sacramento River Cats. December 1, 2017 RHP Albert Suarez elected free agency. October 25, 2017 RHP Albert Suarez assigned to Leones del Caracas. July 22, 2017 San Francisco Giants recalled RHP Albert Suarez from Sacramento River Cats. July 13, 2017 RHP Albert Suarez assigned to Sacramento River Cats from San Jose Giants. July 8, 2017 RHP Albert Suarez assigned to San Jose Giants from Sacramento River Cats. June 29, 2017 Sacramento River Cats sent RHP Albert Suarez on a rehab assignment to AZL Giants. April 6, 2017 Sacramento River Cats placed RHP Albert Suarez on the 7-day disabled list. April 1, 2017 San Francisco Giants optioned RHP Albert Suarez to Sacramento River Cats. October 12, 2016 Albert Suarez roster status changed by San Francisco Giants. October 5, 2016 San Francisco Giants reassigned RHP Albert Suarez to the minor leagues. August 27, 2016 San Francisco Giants recalled RHP Albert Suarez from Sacramento River Cats. August 3, 2016 San Francisco Giants optioned RHP Albert Suarez to Sacramento River Cats. July 6, 2016 San Francisco Giants recalled Albert Suarez from Sacramento River Cats. July 4, 2016 San Francisco Giants optioned RHP Albert Suarez to Sacramento River Cats. May 6, 2016 San Francisco Giants selected the contract of Albert Suarez from Sacramento River Cats. November 29, 2015 RHP Albert Suarez assigned to Sacramento River Cats. November 18, 2015 San Francisco Giants signed free agent RHP Albert Suarez to a minor league contract and invited him to spring training. November 6, 2015 RHP Albert Suarez elected free agency. August 5, 2015 Arkansas Travelers activated RHP Albert Suarez from the 7-day disabled list. July 27, 2015 Arkansas Travelers placed RHP Albert Suarez on the 7-day disabled list. December 7, 2014 RHP Albert Suarez assigned to Arkansas Travelers. November 24, 2014 Los Angeles Angels signed free agent RHP Albert Suarez to a minor league contract and invited him to spring training. October 7, 2014 RHP Albert Suarez assigned to Leones del Caracas. July 3, 2014 RHP Albert Suarez assigned to Montgomery Biscuits from Charlotte Stone Crabs. June 19, 2014 Charlotte Stone Crabs activated RHP Albert Suarez from the 7-day disabled list. April 1, 2014 RHP Albert Suarez assigned to Charlotte Stone Crabs from Montgomery Biscuits. November 12, 2013 Tampa Bay Rays signed free agent RHP Albert Suarez to a minor league contract. November 12, 2013 RHP Albert Suarez assigned to Montgomery Biscuits. November 4, 2013 RHP Albert Suarez elected free agency. September 3, 2013 Montgomery Biscuits activated RHP Albert Suarez from the 7-day disabled list. April 3, 2013 RHP Albert Suarez assigned to Montgomery Biscuits from Charlotte Stone Crabs. September 3, 2012 Tampa Bay Rays sent Albert Suarez outright to Charlotte Stone Crabs. August 31, 2012 Tampa Bay Rays designated Albert Suarez for assignment. March 15, 2012 Tampa Bay Rays optioned Albert Suarez to Charlotte Stone Crabs. October 10, 2011 RHP Albert Suarez assigned to Navegantes del Magallanes. October 1, 2011 Albert Suarez roster status changed by Tampa Bay Rays. August 16, 2011 Charlotte Stone Crabs activated RHP Albert Suarez from the 7-day disabled list. July 27, 2011 sent RHP Albert Suarez on a rehab assignment to GCL Rays. April 5, 2011 Charlotte Stone Crabs placed RHP Albert Suarez on the 7-day disabled list. March 11, 2011 Tampa Bay Rays optioned RHP Albert Suarez to Charlotte Stone Crabs. November 19, 2010 Tampa Bay Rays selected the contract of Albert Suarez from Bowling Green Hot Rods. July 7, 2010 Albert Suarez roster status changed by Bowling Green Hot Rods. June 21, 2010 sent RHP Albert Suarez on a rehab assignment to GCL Rays. June 16, 2010 RHP Albert Suarez roster status changed by Hudson Valley Renegades. June 19, 2009 RHP Albert Suarez assigned to Hudson Valley Renegades from Princeton Rays. July 2, 2006 Tampa Bay Devil Rays signed free agent RHP Albert Suarez to a minor league contract.